All of the components are housed in the Thermaltake Versa H18 Tempered Glass MicroATX mini tower. 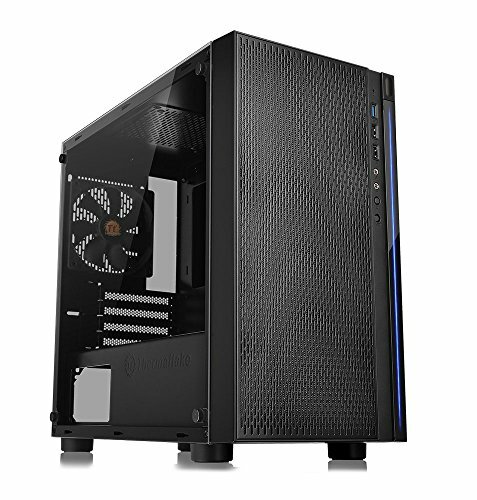 This case is an affordable option that has a large side panel window, front panel USB3.0, room for full size graphics cards, and cutouts in the motherboard tray for easy cable routing. I am following this build guide (seems like it's going to be awesome btw) but was curious as the parametric filter has combined the B450M PRO4 with the G.Skill Aegis RAM, neither of which are featured on their respective Summit Ridge QVLs. I have read online about many people managing to get this combination to work despite this, with most managing 2933mhz after enabling the XMP - but I just wanted your opinion on this combination please and thank you manirelli. I found this post online and it just helped me a lot! I bought this combination myself today, so now I'm curious to see how it works out. After that I'll update the BIOS and try leaving XMP on with the 2933mhz speed as that seems to be what most people have found success with. Also note I have installed the RAM in slots A2 and B2 as apparently A1 and B1 don't work with XMP or some bs. Yep, I didn't do the BIOS update or the weird AMD all in one patch but last night I got XMP on and set to 2933 and everything is working fine thus far. Haven't tested any games yet but will let ya know if I have any troubles when I do. And yes lol, very good value RAM for rated up to 3000mhz. The sticker isn't so bad imo but I can see why lots of people don't like them. Hopefully they don't peel off over time but I bet they will. So, you mentioned that you got all the parts delivered and boot up so are you facing any problems in this setup with this MOBO and RAM??. Just needed the confirmation that it will work without any problems in the future. Sorry but this is my first build and dont want anything to go wrong. Thank you jetblackpope. Heya Jaydeep, yes that is correct! I've got it on my desk running perfectly right now with no issues for probably about a month or so now. Runs BFV, Apex, Battlefront2, Vermintide2 all at 70+ fps with no issues. I cap it at 73fps as I have a 75hz monitor. As for the RAM/MOBO combo - obviously they are not on each other's QVLs but they are working fine for me. I've got the XMP enabled in the BIOS and the RAM is currently clocked at 2933mhz. Never had any sort of crash with this build yet either. Note the prices I've listed should be appearing in CAD. Thank you soo much for your help, and I am also in Canada and I just ordered all the parts abut chose the Sapphire Nitro+ video card and am using the crucial p1 ssd. It's so good to have a confirmation that it doesn't have any problems and all is working thank you again for the help really appreciate it. And just one more thing what monitor are using with this build, i am looking for a 1080p with freesync but a budget one, so if you have any in mind please advise. Thanks again! I got a second hand LG 24MP68VQ-P 24" on Kijiji. It's 75hz & supports freesync via HDMI. Works great for gaming but when doing stuff on the desktop it kind of shows blues/oranges with some weird vertical lines so I can't recommend it because of that. That said I guess if you find one for a decent price I would say what the hell and go for it. I just finished this exact build today, and I ran into BSOD problems right from the get-go. Turns out I needed to enable XMP on the mobo. Turned that on and boom! Haven't had a BSOD in hours (and I was getting them within minutes of booting up. Sometimes wouldn't even make it to Windows). I also finished this pc today and it works perfectly fine with no errors. Looking to do a $800 build similar to this for my first pc but am almost hesitant to do so with the new AMD Navi coming out this July and and drop in price of Ryzen 7 possible. Would kick myself if I could do a beast sub $1000 build with the newer stuff or just go with a 580 and Ryzen 5 for now. There's always going to be something newer or better on the horizon. If you let that stop you from pulling the trigger, you'll never jump in and will miss out. The new mid range stuff isn't going to be priced as cheap as the mid range AMD gear available now. If they introduce the 3600 and a mid range Navi at the same price point as what's on this build list they're pretty much making a bunch of unsold stock worthless. Sure, the current mid range stuff may get a little cheaper once the new gear is out, but it'll probably be around the same price you can find them on sale now. I'm going to build this rig and if it has any sign of aging in 2020 I'm going to upgrade with the best AMD CPU & GPU I can afford at that time. That's the beauty of the AM4 socket. Thanks for these awesome guides. I'm planning on building this exact build (down to the part). Complete noob question for a first-timer: I noticed the motherboard doesn't have wifi capability. What is the best way to enable wifi for this build and what additional parts would I need? Thanks so much. I think a PCI card would be best, but I'm a noob at this aswell. You should google it, there must be a lot of information on it. I'm still pretty new to building computers, so go easy on me... I was going to go with the streaming build that was around $1k, but I decided this one fits my budget a little bit better. If I wanted to upgrade to more of a streaming pc in the future, what would I have to do in order for this build to handle that? 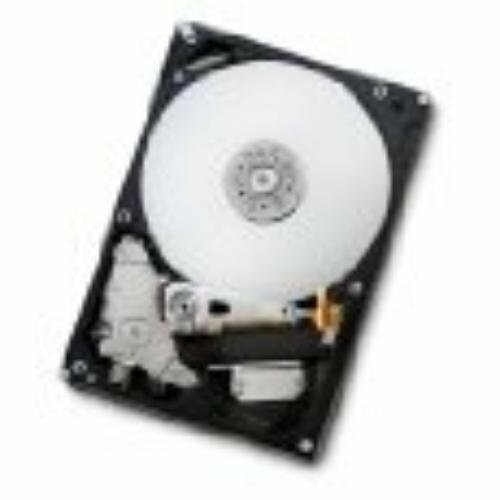 For the Internal Hard Drive, it has decent reviews on this website, yet when I follow the amazon link, it has a rating of 2.7, and many of the reviews seem to receive damaged drives or they fail after 6 months. Has anyone had any problems with this drive yet? Well, I'm assuming that's because the people are buying the device from Amazon, not the actual developer's website or similar, such as Newegg. I have bought products from Amazon that have terrible reviews on Amazon, but stellar reviews elsewhere. Can anyone recommend to me a wifi card for this build, please? Or should I strictly use an Ethernet cable? Ethernet would be much faster, and if you cant get an ethernet to reach your pc look into powerline adapter. They basically send everything through the wiring of your house and then it plugs into any outlet that you can then put an ethernet through to your pc. If I didnt explain very well just look it up there will be much better explanations. If you really want fast connections do not go with Wi-Fi. I am building this pc and was wondering what would be the best budget 1080p monitor to run with this system?. I've had my eye on this build for awhile. I am very new to pc gaming, and I know very little about how to build one, so forgive me for my ignorance. I wanted to know if most youtube tutorials on building gaming pcs would prove useful in assembling this particular build. Thank you. See bitwits, linus tech tips, austin evans videos on youtube for pc building and always consult the manuals while building. It is mostly the same process as shown in the videos with just a little pin placement difference. I'd recommend moving the HDD filter up to 3TB: I'm seeing a 2TB Hitachi 2K2000 HDD for $46.89 while a 3TB Hitachi 2K3000 HDD is $48.49 (shipping is also $2.50 more for a total of ~10% more for 50% more space). Cost per TB tends to level off after 3TB, making anything more a judgement call beyond the scope of a parametric filter. The case is out of stock, thus showing an artificially low (beyond the traditional lack of an OS) price. Quick question, what are the limits of what this build can run and what are possible aesthetic changes to the build, such as led fans or memory sticks. Is there anything I could do to lower the price yet not decrease gaming performance too much, maybe decrease the price to somewhere around £500 ($650). you could find a cheaper Power supply, and maybe slightly cheaper ram and maybe a cheaper mother board. Though I wouldn’t recommend even looking if anything it wont be that much cheaper total, unless something is on sale somewhere, and you'd get lower quality parts that could fail making you spend even more... after mail in rebates they are decent prices anyway. Also try looking at slickdeals.com people post sales there all the time. may be able to find some stuff here or an equivalent for cheaper. You could also scrap the HDD altogether... and just make do with 500GB SSD, then add one when you have more money. granted you'll prob only be able to put like 4 or 5 modern games but still, performance will be constant. what monitor would you pair with this build? I went with this one and works well for me. (24" 1080 @ 144hz and Curved) i had to change some of the color settings i didnt like the presets. You can find others on sale for cheaper it just may not be curved. What kind of frames can this achieve? And how easily upgradeable is it? Google 2600 + 580 testing videos and you will see that it is going to get 60+ FPS at 1080 on all AAA games out currently including BFV which is the most intensive game going around these days as far as I am aware. I believe it will be easy to upgrade as all new AMD CPUs are going to use the AM4 socket til 2020 and the only thing stopping you in that department and otherwise is power or size limitations that can always be upgraded to allow upgrades in the other areas. According to Userbenchmark.com, the i5 in the build you've linked from wepc.com very slightly outclasses the Ryzen 2600. However, I am unsure if Intel provides the same pathway for upgrading if you go down their CPU/mobo route. The difference is probably unnoticeable. Also to note is that the RAM on Partpicker is rated at 3000mhz vs 2400mhz on wepc.com, but that is irrelevant pretty much unless you're planning on enabling the XMP on the motherboard to overclock the ram. tldr I'd personally go with the build on PC part picker, generally higher quality or newer components than the wepc.com one you've linked. Alright, thanks guys. I think I'll go with the one right here. One last question though. Does this motherboard support overclocks? I know the CPU does, but i don't know about the motherboard. XMP is the settings on the BIOS that allow you to easily overclock the RAM. So the RAM may be advertised as 3000mhz speed RAM, but when you plug it in it may only run at a lower speed initially until you go into the BIOS and change the XMP setting. i am new to pc building do you recommend these one for me , and what are the main things the you must keep in eye on when building is at RAMs CPU GPU , and any Suggestions on the CPU cooler ? Unless your over locking you won't need an additional CPU cooler. The stock ryzen coolers are quite good at stock speeds. If your gaming gpu will usually be what your most worried about (the Rx 580 is a great deal right now). As far as ram the standard for game right now is 8gb so getting 16gb is going to be your best bet to be future proof and have some multitasking ability. how many fan headers are on the mother board and was there any updates for the motherboard to accept the ryzen cpu? Looking at this build but I’m very hesitant because I’m extremely new to the pc world and don’t know what to expect. Also, I obviously don’t want to spend too much and this is getting up there in price for me. I just want to be able to play rainbow six siege at around 100 FPS or so. This build may be 'modest' in parts and price range but really it is a beast when it comes to tackling today's AAA, so it dominates Siege which is now over 3 years old. Hello I'm almost done building this unit (first build ever), my concern is the ventilation, is the one case fan enough for cooling? should I get more fans for the front/top of the unit? In my experience, if you're not overclocking, the one fan at the back will probably be fine. However, if you've bought the Thermaltake Tempered Glass case I'd consider at least one fan at the front to pull in some air as this case doesn't have the side CPU fan tunnel which I am more accustomed to seeing. I have been building this rig following the parts on the .ca version of this website and I have bought 3 extra case fans just because it should ensure a longer life for the parts inside my desktop. I will be using a 14mm fan on the top slot to exhaust hot air while putting the other two 14mm fans I bought to draw in cool air from down low at the front of the case. The rx580 is an awesome GPU, I Made this build with the 1660ti, and it’s so much more expensive for about 20FPS at the most difference. Could Ark Survival Evolved be on full graphics with this setup? I have a budget slightly higher than this build requires (just under $900), does anyone have suggestions for better parts to include? Hey, I'm not looking to buy a PC really just for gaming. I am a photographer and videographer, and I stream via Twitch on console. Would this sort of build be good enough to run hefty programs like Lightroom and Photoshop together? Aswell as stream via capture card? Thank you. I have a quick question, would the PRIME B450M-A/CSM motherboard (shown in the parametric filter) support the Ripjaws V F4-3000C16D-16GVRB ddr4 memory (also shown in the parametric filter) at its advertised 3000 MHz clock speed? If not could I overclock the ram to 3000 MHz? Alright, thank you for the help. im planning on doing an amd build like this for my first pc. I am looking at the msi rx 580 though, it has better reviews and runs cooler than the xfx. although i see that the xfx has better performance and is cheaper. the msi one is about 30 dollars more. i havent had any luck finding ram as cheap as you. 100$ for corsair 3,000mhz 16gb is the best ive found that still seems to be quality ram. mine totals out at $770 without the terabyte hard drive. I still need an operating system. whats the cheapest way to get windows ten? i already have a laptop with windows 10 installed. First PC, friend recommended this site to me, and I was curious as to what this PC is capable of. I am mostly buying the PC to play Rainbow Six Siege and would like to play with an FPS of 100-120+. I have a very basic understanding of specs, and was just wondering if this PC is able to pull that off. How would this handle streaming fortnite/league of legends/apex on twitch? Newb here. Does this build come with Windows installed? Also is there a video on how to put this specific build together? How would you install windows on this build? Recently put together this build (with exception to the case, SSD and hard drive). Used the three other pieces I had from my Cyberpower pre-built that I had beforehand and loving it! Had a few questions for those that are more tech savvy than I - - When I game the cpu temps hover around 60-70 degrees and even reaches 75 degrees at times. Is this too hot? I've read that its not, but being new to pc's i wanted to make sure. So I did a similar build and was curious, would you be able to get away with using an EVGA 450 80+ power supply since the wattage consumption is around 300? Assuming it has the correct amount of power cables, you could. It will put you closer to the wattage max if you OC/overvolt though. The case in this build has a code/part number that is CA-1J4-00S1WN-01 but the only ones that are available in New Zealand have the code CA-1J4-00S1WN-00. Is there any difference between these 2 models or is it simply a regional thing? Im completly new to the PC world. Would this built be able to Play games like halo , Apex etc at decent Frames? andis this recomendable? 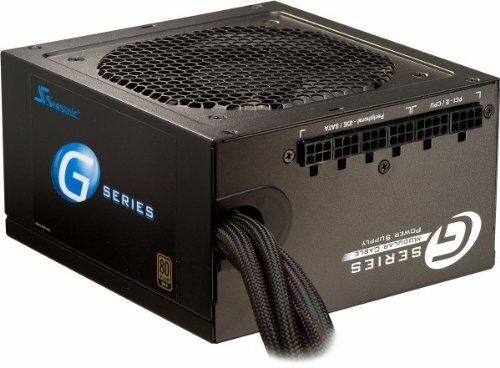 I'm just curious if there are any recommendations for fan splitters/case fans. I'd like to add a few intake fans and the board only has 1 non CPU fan header. I'm not entirely sure what the fan header's max draw is so I don't really know how many I can add without using a controller or the PSU. Thanks for the suggestion! So from what I gather, this is going to allow the motherboard to control all fans connected to it at once, just at a single speed? I'd really like to max the fan capacity of the case. I actually went with the RTX 2060 so I expect a bit more heat production. Three 120s at the front, one 140mm at the top and I'm fine with using the stock fan at the back. Is that single fan header going to be able to support the power draw from 5 fans? Edit: Just saw that it has a sata connection. I'm assuming this helps with power needs. And lastly, just out of curiosity, is there something similar to this for possibly going with RGB on the fans? Anyone have an estimation on how well this could run Destiny 2 and CS:GO? Obviously it's gonna dominate CS, more curious about Destiny. This PC wont be going out of date or become "too old" in the near future right?, as these components have been out for a while. I'm currently saving up money from my part time job and i have calculated it will take roughly four- five months to get the funds needed. Is it worth buying newer more "up to date" PC or is this one still pretty current for today's games? It may be a silly question, but why do these builds not include OS? On a scale of 1/10, how good is this for gaming? Price to performance 10/10 now. For me 1080p everything smooth. Wait, where's the cooler? I don't see a CPU cooler with it. What are you using as a cooler? If I'm not mistaken, this CPU comes with a stock cooler you can use if you're not trying to do any overclocking. Someone chime in if this is wrong. That's right. I just noticed, thanks. I wouldn't be overclocking anyways. I'm new to building PCs so I was wondering if you need thermal paste for this build? No. This cpu comes with everything you need. No the thermal paste is already applied to the stock CPU cooler. I am looking to do a similar build to the one described (~800$). 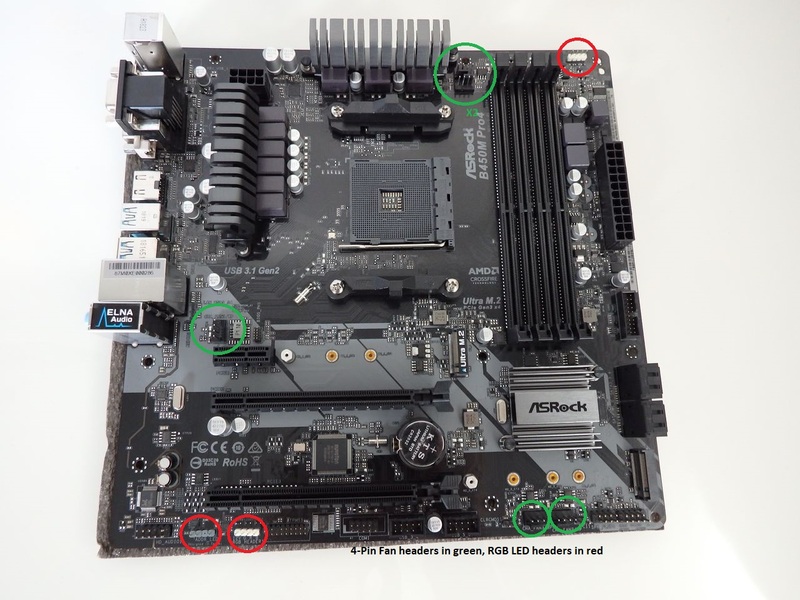 I have always wandered the way MoBo are defined in these build guides. Even for the most expensive build (~2000$) pc part picker sets a parametric filter dependant on price. I understand that in case of having extra money it is usually better to invest it in other components (such as GPU or CPU) but doesn’t the MoBo deserve some extra thought? Thank you for your comments! I built my first pc with this part list. Thanks for putting it together! I am new to the world assembling your own computer, if I can do it anyway can. Does anyone know how high of fps this build would get me on Rainbow Six Siege and CS:GO using the best settings possible? Or can anyone recommend me a pc build that would be really good for those games? This would be my first pc and I just wanna make sure im getting the best for my budget. I am playing wildlands, DMC 5, division 2 on 1080p ultra and it easily hits 60 fps. So yeah it is one of the best builds if you are looking for high frames in 1080p. This could run a VR headset, right? I want a different case but how much will it matter if I change it? It wont matter but just make sure that the case supports the mobo config i.e microATX. Hi I had a question about this build. I am a beginner but have been doing my research.. I was curious if switching the mobo to a MSI-B450m Gaming Plus Micro ATX is OK. I won't run into any issues? Also I switched me case to a NZXT-H500 ATX mid tower. Let me know your thoughts on these changes please. Also one more question, is it necessary to add an internal hard drive as well as an SSD, or can I get away with just an SSD? My advice would be to research about your MOBO choice because i have read some bad things about it. And also it is much better to have a ssd even if its 128GB in 2019 so you can have all your main games/ softwares in the ssd and won't have to worry about performance. I have the same build and i opted for a 500GB crucial ssd and a 1TB HDD. I mostly plat wildlands, division 2 and the loading times are in seconds literally 1-5 seconds for a game which is 50+ GB size. It wont hurt to get and ssd instead of just and HDD. I am new to PC building and I am wondering if it would be possible to swap out the Radeon RX 580 for a GeForce GTX 970. Also, I am also wondering if it would be possible to run an HTC Vive after swapping the GPU. I'm looking to build this with at least a GeForce 1080 for a video card. Would a build like this be suitable for VR? Hi there, I am extremely new to building a PC so I would really appreciate the help from this community. I will be purchasing only the items mentioned on the list. So my question is; are there any other obvious components I would need to purchase that is not mentioned on the list? (sound card, NIC card etc). . Sorry again, I'm really really new to this and I'm hoping to learn from you guys! A pcie wifi/bluetooth card wont hurt if you dont want to connect through ethernet cable. And also in future also see if you can but some cooler fans for the case. Hi, can anybody tell me how well this setup will run Fortnite/ Apex Legends? Thanks in advance. I have the exact same build and i play Apex at 1080p max settings and hitting around 60 fps easily. Hi would this pc build manage over 144 fps on fortnite? I'm looking to move from ps4 to pc fortnite, won't be streaming. Thanks. It can but have to tweak the settings a little. Try any case that has support for microATX and also see the dimensions for a video card mentioned inside the case details. I am having trouble finding the power supply listed in this build from my location. Does anyone have a suggestion of a different power supply of similar quality that could instead be used...? Thanks in advance. I would suggest you to replace the SSD with Kingston 480 cuz it's less price and better quality and life time. There are zero removed comments at this time. New iterations archive the old comments to the previous revisions which you can find on the left. If you're looking at the Ryzen 5 2600, yes the thermal paste comes pre-applied to the the Heatsink (cooler thingy). Source: I just bought one last Friday. To my knownlaoge, no. I recommend getting thermal paste on Amazon because it's better quality. Please make your own post on the part list opinions wanted forum.